Fill in our quick and simple form and get a quote for your piano removal in no time. Cash paid for quality used pianos. We will send professional piano movers to your home to collect, top end prices and minimal hassle. All of our used pianos are top quality, and have been examined thoroughly by an experienced piano technician. We provide free delivery on all our used pianos. Here at Buckley Pianos we operate a nationwide piano transport service based near to the City of Chester, Cheshire. We have a vehicle in London every other week, and in the areas of North-Wales, Cheshire, Birmingham, Liverpool and Manchester we are usually able to work to a very short notice period. 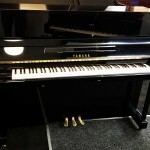 Upright piano moves start from as little as £50.00! 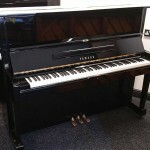 We have an extensive range of new and used pianos at hugely discounted prices. There is always a wide range of pianos at our premises that you are welcome to come and play. 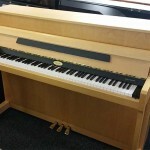 Our pianos can start from just £295.00 with free delivery! Quick cash paid for quality used pianos. 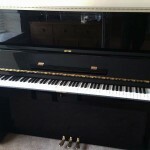 We will send professional piano movers to your home to collect. No fuss or hassle!